To kick off the month of August, adidas Originals will be releasing two brand new “Camo” NMDs, one dressed in “Core Black” and the other in Sesame/Steel-Base Green – shown here. This adidas NMD features an allover Bape-like camouflage pattern covering its breathable mesh upper for an urban vibe. Olive Green tones appears on the EVA insert overlays, atop a White Boost midsole and Black rubber outsole. 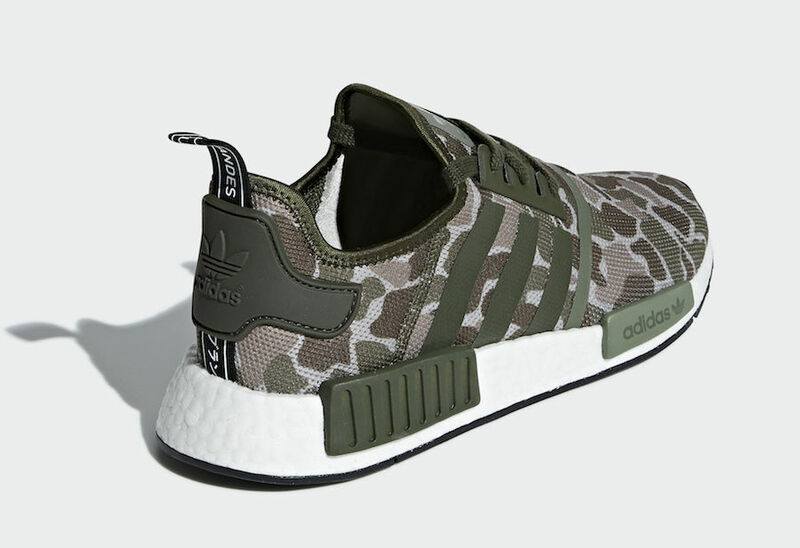 Look for this adidas NMD R1 “Camo” to release on August 1st at select adidas Originals retailers and adidas.com. The retail price tag is set at $130 USD.